Weary Eyes are one of the biggest math/instrumental bands in Russia. They’ve shared the stage with 65daysofstatic, And So I Watch You From Afar, Maybeshewill, Caspian and Dredg. They’ve also participated in Bosco Fresh Fest in Moscow and V-Rox Music Festival in Vladivostok, with audiences of up to 10,000 people. On top of all of this, their latest album TRUE NORTH has recently hit the airwaves, a huge project and a great place to start for those who are new to the band’s sound. Dreamers Disease is the appropriately infectious opening track from the new album. Its energy is superb, the riffs and the weight of the music give off a nostalgic quality initially, though this later evolves into something admittedly incomparable right now. These pop-punk-like cascading guitars collide with a more metal aura, even some retro gaming snippets seem to appear at one point, and overall you get a sense of rising intensity and an awareness that this is a band who simply love to make music. This track alone offers a sensational journey from the thick and heavy to the delicately skillful and ambient. A brilliant way to begin. Lightfighter follows the opener with an indie-rock warmth and a layer of reverb that contrasts with the driving bass notes underneath it. The stop and start nature of the track adds further to what is already a notably expressive and creatively experimental journey. This is an early highlight for its beauty and originality combined. As things progress, the weight builds, attitude and energy grow stronger and bolder, and the piece carries you along on this evolving sentiment. Sarah Jessica Darker is likely to draw intrigue for its title alone. The music within is everything you’ve come to hope for from Weary Eyes by this point, and yet nothing like you might expect. This track is beautiful and far from dark in the aura it presents. A fully immersive bit of escapism that would be incredible to witness at a live show. Captain Nowhere offers a personal favorite from the whole project. The guitar work is stunning, simple yet characterful, and as always – the band build up the intensity, consistently working as an expressive unit, always in tune with the required emotion of the moment. Once The Clouds Lift kicks off with a cool little drum line, the music later has this lightly indie-rock, emotional vibe once again – a gorgeous ambiance proceeds to fill the room, though not without that all-important awakening that gradually occurs. Weary Eyes seem to cleverly represent this sense of waking up throughout their music – the eyes are undoubtedly brighter by the end. V. is the band’s single, which you can check out below – a uniquely rhythmic and colourful piece of music that does in fact stand out quite significantly on the album as being its own creative work of art. Still that Weary Eyes approach to expression runs deep though, in the evolution and the use of contrast between distortion and quiet – calm and chaos. Invisible Hand drives with a clock-like rhythm section and a cool, entrancing bass-line. When everyone joins the jam the moment seductively sweeps you away. Again, a live show is a must for those who stumble upon the opportunity. This piece grows unpredictably, always keeping you on your toes and letting the energy of the moment embrace you. The album’s title track follows and adds a flicker of jazz to the playlist, something that slowly but surely mutates into a gloriously calming, multi-layered, genre-fusing bit of ambient music that works beautifully at this penultimate moment. Your Battles Are Over marks the end of the album, but things are far from finished until the track has worked its magic in full. As the title implies, this piece sees your struggles fall away for a while – the music works like an organic, creative hug, allowing you to escape reality and just ride the groove of the moment. The riffs featured throughout weave their way into your subconscious pretty quickly – the clever placement of a subtle ear-worm to make sure you come back for more. The final build-up and instrumental explosion is insanely good. Stunning music from an immensely talented, experienced band, with a clear and unwavering passion for music. Absolutely worth tuning in for. Check out the album today on Bandcamp or iTunes. 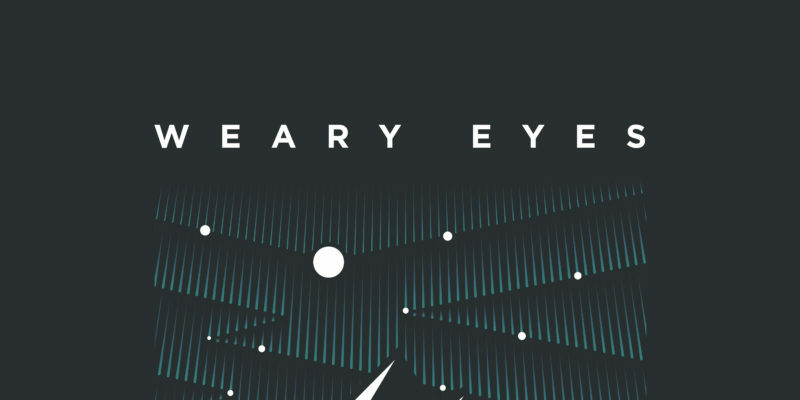 Find & follow Weary Eyes on Facebook, Souncloud & Instagram. Visit their Website for more info.